254 pages | 9 B/W Illus. This volume brings together important work at the intersection of politics and performance studies. While the languages of theatre and performance have long been deployed by other disciplines, these are seldom deployed seriously and pursued systematically to discover the actual nature of the relationship between performance as a set of behavioural practices and the forms and the transactions of these other disciplines. 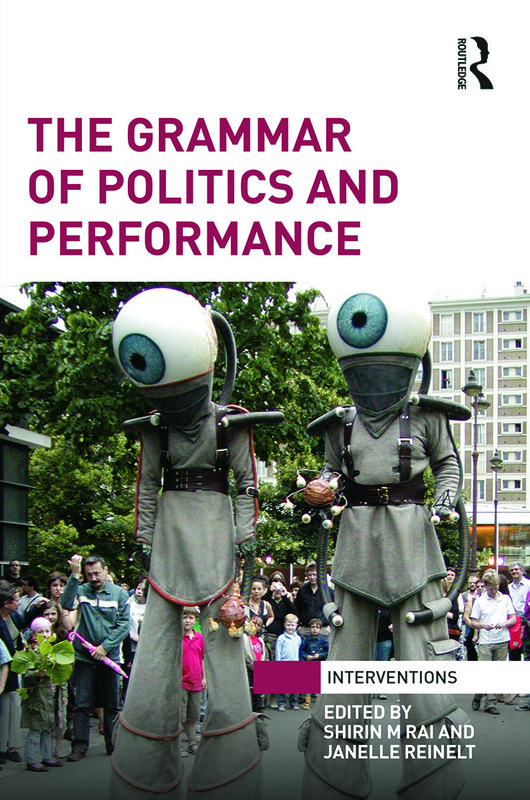 This book investigates the structural similarities and features of politics and performance, which are referred to here as ‘grammar’, a concept which also emphasizes the common communicational base or language of these fields. In each of the chapters included in this collection, key processes of both politics and performance are identified and analyzed, demonstrating the critical and indivisible links between the fields. The book also underlines that neither politics nor performance can take place without actors who perform and spectators who receive, evaluate and react to these actions. At the heart of the project is the ambition to bring about a paradigm change, such that politics cannot be analyzed seriously without a sophisticated understanding of its performance. All the chapters here display a concrete set of events, practices, and contexts within which politics and performance are inseparable elements. This work will be of great interest to students and scholars in both International Relations and Performance Studies. Through a compelling interdisciplinary collaboration the authors of this book advance a new and radical political grammar; one that merges politics and performance to confront the widespread disillusion with conventional channels of democratic participation. Roland Bleiker, Professor of International Relations, University of Queensland, Australia. A fine collection of perceptive interventions into current debates at the intersection of performance and politics. It offers a distinctive combination of material, spatial and rhetorical analysis that will be vital reading for scholars and students in politics and performance studies. Nicholas Ridout, Queen Mary University of London, UK. Shirin M. Rai is Professor in the Department of Politics and International Studies at the University of Warwick, UK. Janelle Reinelt is Professor in the Department of Theatre Studies at the University of Warwick, UK.